The sensual and virile man personified with Paco Rabanne One Million 50ml Eau de Toilette in its attractive metallic gold bottle. Paco Rabanne says the following "In all civilizations and religions gold has always managed to seduce people". Gold symbolizing power, strength, perfection is the ideal packaging to represent this perfume with its multitude of contrasting fragrances ranging from leathery, wood, sweet - patchouli and rose, fresh & fruity – sparkling grapefruit, mandarin oranges and peppermint, and spicy - cinnamon and spice. Leave a lasting effect with the seductive scent of Paco Rabanne One Million Eau de Toilette at special events, weddings and parties. The Paco Rabanne One Million perfume is available for next day delivery throughout South Africa. 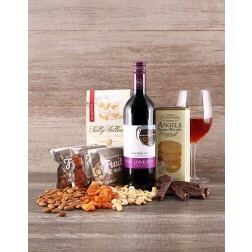 Hampers and gifts are delivered by courier and delivered separately when ordered together with flowers. They may be delivered on different days depending on your selected delivery date. The earliest delivery date for Hamper and Gift orders placed before 12:00pm South African time will be the next day. Allow longer delivery times for remote areas. Gifts and Hampers ordered after 12:00pm on a Thursday can be delivered on Monday at the earliest, and Tuesday if ordered after 12:00pm on a Friday. Specific delivery times are not available for gifts and hampers, since they need to be couriered. No Hamper and Gift deliveries available on weekends or public holidays.